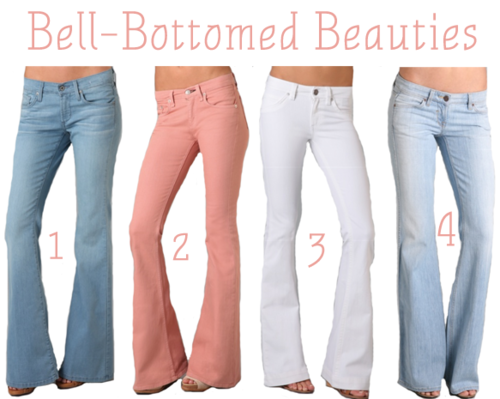 As the 70’s are a huge point of inspiration for me this summer, I thought I’d do a little feature on bell bottoms. I found you the biggest, baddest flares of them all. Take your pick! **My favorites are the James Jeans and Rag & Bone/JEAN pairs.